Use a dark eyeshadow on the inner and outer corners of the lid. 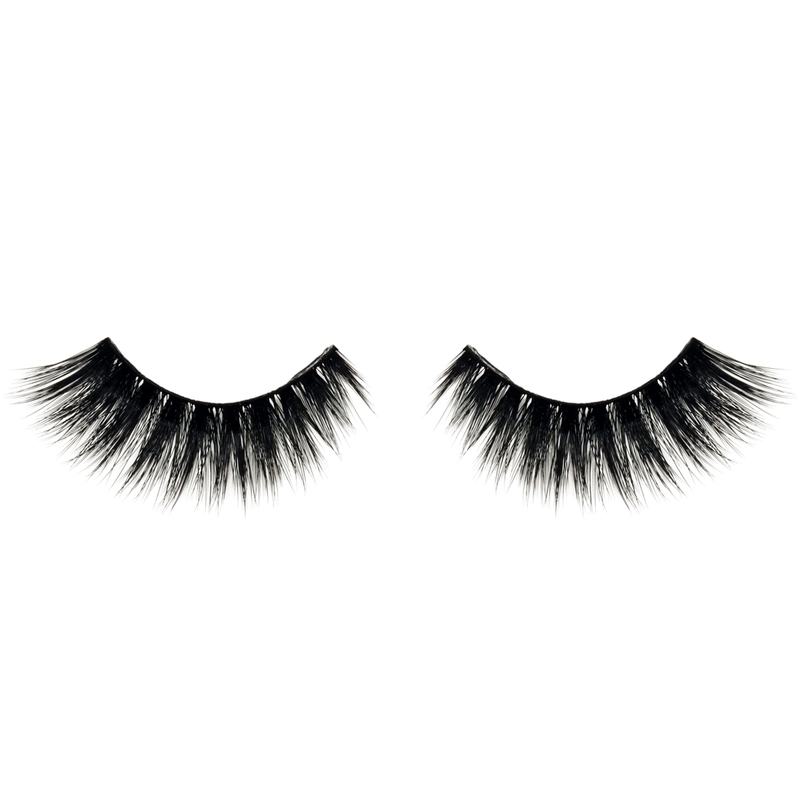 Using your favorite Quick Pro Glitter, tap the pigment onto the center of the eyelid to create an instant halo effect. For added drama, use the Eyeliner Makeup Brush to create a glitter winged liner. Love it! Lasts through out the day. Beautiful colors. Only problem is that the sparkle gets all over your face. I love the colors and quality! I wish the tubes were bigger and 5he applicator had a lip gloss type brush rather than a plastic spatula. I've tried many liquid shadows I'd say these are among some of the best. Unique colors, amazing quality, glitter and gorgeous. this product is seriously great! you can pack it on or just give your eye a subtle glow. These go on incredibly smooth! The glitter is very fine, not chunky or scratchy. These haven't smudged or flaked over a base shadow for me yet. The color payoff and the fact that it doesn't irritate my sensitive eyes or end up under my lashes and on my cheeks makes this kit worth it! Applicator is hard to use and glitter falls off during the day. Not crazy about the pigmentation either. I was hoping for a stila "dupe" but didn't quite find it here. I think these are super pigmented and beautiful. I dislike how they wore off after a few hours. Beautiful alone or with other eye shadow! Three of these were sent from PUR to try when they were first released. I have certainly found myself gravitating towards the pale gold and the pink tone. I will be purchasing the two darker colors when they begin single sales! These are a stunning touch of light when worn with and/or over a muted matte but POP like crazy when worn alone! Well done PUR!! The glitters look amazing and really makeup your eyes stand out! Love shimmer on my eyes (tried the matte shadows, but make me look blah). And with my lids being so dry lately, got these a figured since they are liquid, would not be as drying as powder. They are awesome and very pigmented. Would highly recommend!! I love the colours of them! They are super pigmented, definitely very glittery, and you only need a tiny little bit to make an impact. The only problem I had was that there was quite a bit of fall-out on my face so definitely should be applied before applying face makeup. However, after cleaning it up, I loved the way it looked and lasted quite long though I did find it a little tricky to blend at first. Glittery, beautiful, and really make my eye makeup POP! These PUR Quick Pro Glitters are awesome! They applied smoothly and didn't crack or crease over time. The colors were just beautiful and could be worn everyday or dressed up with other eye makeup for a night out. They lasted all day without smudging or wearing off. I was very happy with them! These glitters are an ingenious way to add glitter to any look! Theres so many different ways to use these and each way works as intended. I personally love using them as an eyeshdaow on my more "natural" days, or as an eyeshadow base. Lots of sparkle and perfect for the summer! Super easy to use glitters! I absolutely love these glitters because they are mess free, very pigmented and very easy to apply! Plus the color range is great! I applied the glitters both to prepped eyelids with concealer/powder and on top of eyeshadow. I found the best way to wear it was to do my eyemakeup first and then clean up any glitter fallout with a makeup wipe prior to applying my foundation. I mixed two glitter colors together and they looked pretty and lasted throughout the day nesrly 10 hours that I wore my makeup. I'd use it for a fun eyelook. I was really amazed at these pur glitter eye shadows. I loved how they were more shimmery than just specks of glitter. The texture went on smooth and creamy and did not flake or clump up. I think its a perfect product to use for a special party or a date night out. I really loved the color of these! They are very pigmented and a little bit of the product goes a long way. However, I felt it was just really really glittery to the point where it didn't look good on me. I like them for a very light use to add an extra sparkle. These glitters are so stunning and easy to use to glam up your look! The colour range is beautiful and I love how these glitters have almost no fallout. very pigmented yet very wearable depending on how you blend it ! The product itself was a great texture, it fits perfect as a glitter topper for that extra pop on your lid! I placed it at the end of my eye look and it was a great way to bring more attention to the eyes. The color range is perfect for any eye look, you can pick and choose between them and one of them forsake will fit your eye look perfectly. I loved them! I love how easily these apply and how bold the colors are. They dry down quickly and last all day. A little hard to work with.. but beautiful! So first of all these colors are beautiful. I watched a review on how to use them on YouTube and became so excited that I was getting to try these Pur Glitters Eyeshadows free in exchange for my honest opinion and review! My opinions are my own! I tried it with just an eyeshadow brush and put a tad on and it turned out great I moved it around with my brush wonderful! I accidentally put too much on my other eye and it was a mess! Glitter everywhere.. I'll try my finger next time! But it did feel weird like a cooling sensation but once it dried it felt like nothing on my eyes and stayed all day!! I have also tried it with my finger, still seems like it just gets everywhere.. they are beautiful! Maybe not just best for my fair skin tone?? Maybe just a little on the top of my lid and not the whole eye would be better for me.. Though they look very beautiful in pictures! I'm going to keep working with them but man they are beautiful! So happy I got to try!! These Quick Pro Glitter Eye Polishes are beautiful glitters and go on opaque. They're best applied with fingers and stay in place with the help of a glitter glue base. They slightly transfer and glitter falls on lashes and cheeks but a sticky primer definitely helps. Love how intense the glitter is. Has a bit of fall out but what glitter doesn't. I really like how it goes on the eyelids wet then drys down. Loved the cute little containers. Good color choices. Were easy to work with. Flaked off easily after dry. I was a little surprised when I opened the bottle and saw a small plastic tab, instead of the doefoot applicator I assumed would be in there. I tried various methods of application with and without primer (I used the PUR brand primer when I did) and eyeshadow, blending the glitter out with a finger. I had mixed results depending on what I used, and found it surprisingly stood best alone, without primer. They didn't really blend well with other eyeshadows, but did blend well with each other. The champagne was a little meh on my skin personally, but the gold and red both made my eyes pop! I love the pigment in these. I was so in shock from one swipe how crazy beautiful they are. The only reason I didn't give the product a 5 was because I have not played enough with them yet. I look forward to the many looks I can create. I will say I'm sad I only got 4 out of the 5. This product is easy in application. A little goes a long way! You do not need a lot of product to get true color pay off, and long-lasting result. The pearlized pigments reflect light so beautifully. This doesn't feel dry or harsh at all for being liquid. Love the shade range. Works on multiple skin tones. One of a kind glitters! I love these Pur glitters! I like that they are so easy to work with. They lasted me all day. I didn't even need to use more than one coat to make them shine and give myself a nice look (unlike many other eye shadow products where I need to use at least two or more coats). At first they feel slightly sticky though. But I love their colors and the shine that can be seen on my eyes. They are highly pigmented. They are also very easy to remove. I think they'd even last you 24 hours or so because they lasted me all day, and they only came off when I removed them. I like the fact that they are natural and gluten free too! I got compliments from a few people. They are definitely eye catching colors and pigmentation and well suited for any day or even for a party. They don't form any crease whatsoever and they blend well. Color are beautiful- long lasting- easy blending. I prefer using a blending brush and not just the brush with the tube. Very carryable. Can be thrown in the purse for touch ups. Touch ups does not have to be done often. Almost sweat proof and long lasting. I am the type of person who loves to wear glitter everyday. But I know there are a lot of people who ether don't like glitter, or think it's not appropriate for their job, work, etc.... These glitters are literally perfect. They are so unbelievable easy to apply (I've had difficultly with other glitter products that are super popular right now) and blend out so well. They give such a beautiful sparkly look, totally appropriate for day time or work. You can use it more subtly or build them up. Absolutely love and recommend them!!! Lasted the entire day! I really like how easy they are to use They're extremely pigmented and a little product goes a long way. You can also layer them or mix the colors for a custom shade which is something I really liked about them. I wish I received the black shade because that's the one I wanted to try the most since I love doing dark smokey eyes - they make my blue eyes pop. I love these eyeshadows. After I finished my face my husband walked in and said "wow, I love your makeup". Lol. I receive comments throughout the day when I wear it. Its bright and flashy the entire day. The only bad thing is i did a cutcrease with it and it transferred to parts of my eyes that were glitter free. A few pieces of glitter did fall on my face a bit but no biggy. I loved this. The glitters blended easy and didn't smudge. They stated all day and gave a perfect shimmer. I'm not an experience makeup guru. I'm not experience at all with using glitter on my makeup. The Quick Pro Glitters surprised me in two ways. One, they pack a lot of shimmer. No matter the angle you see them from once applied or swatching, the light reflect on the beautiful colors. The glitters are easy to work with, not dry but not watery. Perfect for beginners like myself. I also really like how they can be worn alone or on top of makeup. The Quick Pro Glitters are versatile, not just for eyes. Can be worn as highlighter or on lip for a bold look. The colors available are easy to use everyday. There was a little fallout but I think it was because I used a brush. When using my fingertip there was maybe a few specs that I easily wiped off. Last but not least, I love that when removing, the glitter does spread a bit but it comes off easily using cotton balls or wipes. These glitters are so cute and the perfect addition to my makeup collection. Love how easy they are to apply and how compact they are fo take when i travel as well. I have been trying out the glitter shadows available with other btands, and each one I have tried has been really gritty, grainy, sandly, gets in my eyes, flakes.... the worst. Finally try out the look with Pur cosmetics and I LOVE IT. The glitter is not grainy. It is more like foil! I have a tendancy to be pretty dull in everyday make up. But just adding glitter as a liner really looks so fun! These are amazing!!! So much glitter and it stays put! This is my new favorite thing! I received four out of the five colors and out of the four I received none were disappointing. You could mute the glitter effect by patting them after application or leave them alone until the dried for a more stunning glitter effect. There is a little fallout from the glitters which was near impossible to clean up. I would have to reapply concealer because it wouldnâ€™t wipe off even after dry. So if the glitters are where you want tjemnthat is an awesome thing because they donâ€™t budge once the dry. But if your joodedneye gets a little on them or the glitter gets below your eye. It is going to stay right there. My favorite color out of the four was Namaslay. A beautiful rose gold that was perfect to wear just by itself in a softer makeup day. 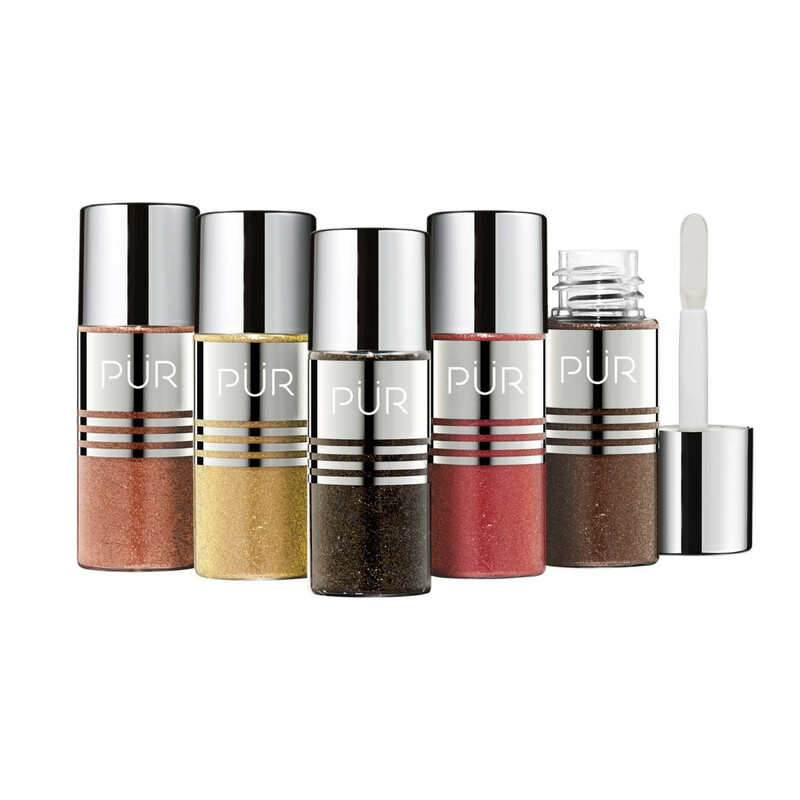 Pur pro glitters are just fabulous every girl needs them in their glitter collection. These arrive at my resident Tuesday and I did some swashes on my arm. I must say every one of them looks beautiful when I swashed it on my arm. I went out with my mother yesterday and decide to wear Queenie for the day to see how long she would last throughout the day. She did apply very easily to the eyes and was very highly pigmentated. However, I did experience have a lot of fall out and if you don't have a set base like a primer or glitter glue it can get pretty messy. My two favorites out of the four glitters are Queenie and Namasaly. Queenie is a rich golden-creme color and Namasaly is a girly light pink color. I won't wear these glitter every day but I'll wear them when there a special occasion happing or I simply want to try out a speculator glam look. Daytime glitter is a thing with this product! Pigmented, glittery, long lasting on oily skin, great value, but terrible applicator. The glitters are beautiful to look at from afar, but working with them is a little difficult. They apply a little streaky and chunky. Also, after they dry down they tend to flake & if you accidentally rub your eye the glitter shifts everywhere. With some improvements they would be amazing!